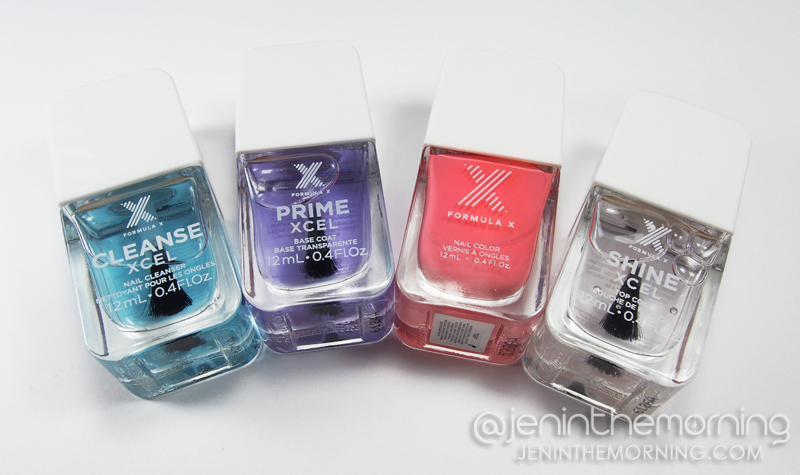 The System XCEL is a 4-step process for applying a long-lasting, chip-resistant polish to your nails. My box came with the 4-step system as well as a Formula X Delete All acetone tub that has a foam insert to help with removing nail polish. Step 1 is to apply Cleanse XCEL to your nails. This super fast drying cleaner removes oils from the nails while conditioning them. Step 2 is to apply Prime XCEL. This is the base coat. It dries very quickly and has an almost sticky feel to it. Step 3 is the fun part – the color! 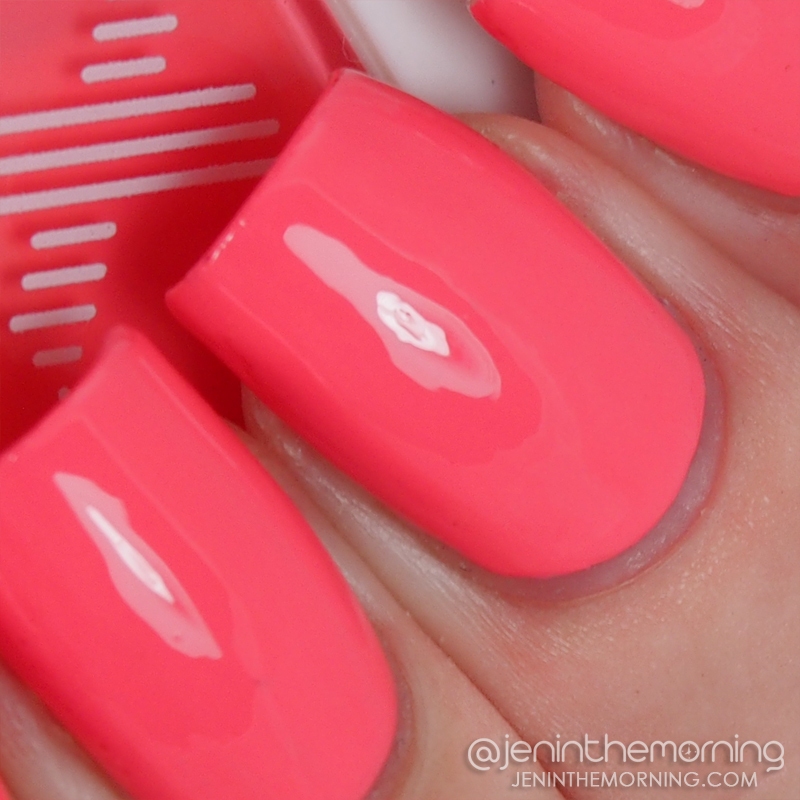 I was sent TGIF a bright, pink-leaning coral creme – perfect for summertime! Step 4 is to apply Shine XCEL to all nails. This is the super-glossy topcoat to finish off the nails and give them their gel-like shine. I set right to work on a full manicure and applied this to all my nails. The cleanser did dry very quickly and my nails didn’t look dry afterward. The base coat went on easily, but I am not a fan of the brush – the bristles on mine were not uniform and seemed to spread out a bit too much when I applied it to the nail. 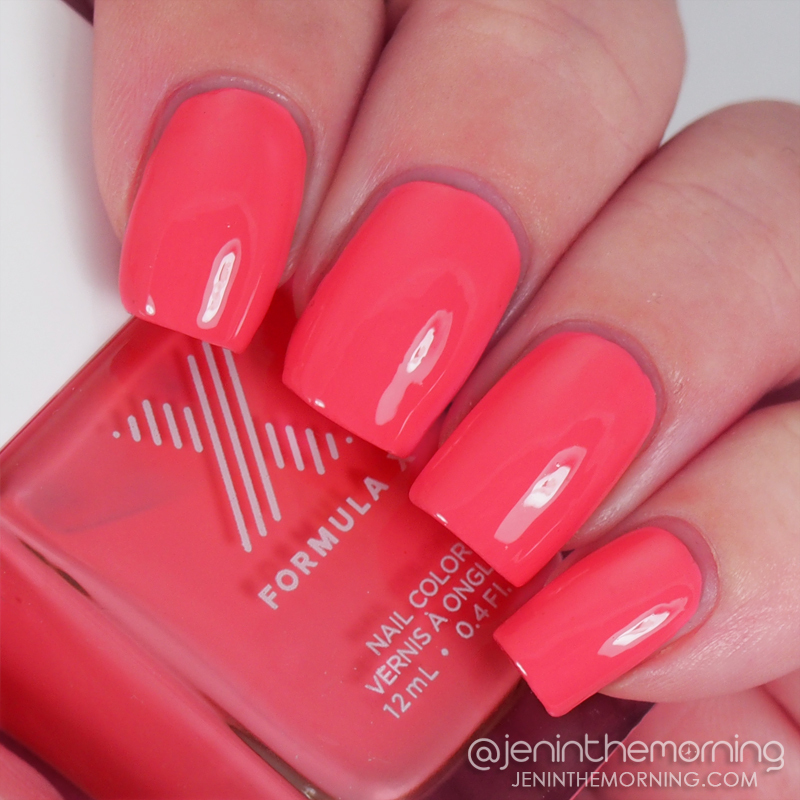 The base coat is very thin and can pool in the cuticles if you aren’t steady-handed. The brush for the color was very good and the polish went on nicely. It was a bit streaky after the first coat, but a second coat evened out the color and was completely opaque. The Shine topcoat brush was similar to the Prime and it ended up making the top coat a bit streaky unless I was careful to float it a bit. However, it did add a lovely shiny finish to my nails. The claim in the provided insert was that the polish would be chip resistant and last approximately 10 days. I wore it for 6 days and unfortunately, I had an acetone accident that ruined the mani before I could take “after” shots. That being said, after 6 days, there was noticeable tip wear on several nails and the polish on my thumb was slightly crazed. I’m not sure if the polish would have lasted the full 10 days, but it still looked pretty good unless you really got up close and personal. I really loved the color provided and I am sure I will wear this again. I love these types of systems for those times I need extended wear, like vacations. They are a good option for those who want a longer lasting manicure but don’t want to pay salon prices. I received these products free from Sephora and Influenster in exchange for my honest review. The 3-piece kits + 1 free polish retail for $32.00 on Sephora.com. 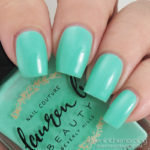 < Lilypad Lacquer – Fabulous formulas! I’ve tried Formula X’s normal system before and it was good enough for to last during my vacation. I wonder how this one compares… I do like that they just released new prep, base, and top coats instead of an entirely new polish like most brands seem to do with gel imitations!